An absolute box full of delights. 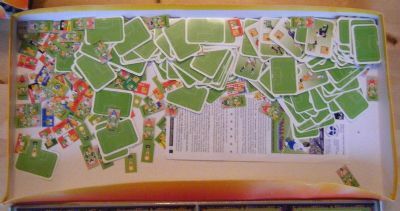 Beautfully designed and presented game with hundreds of pieces and a huge gameboard. 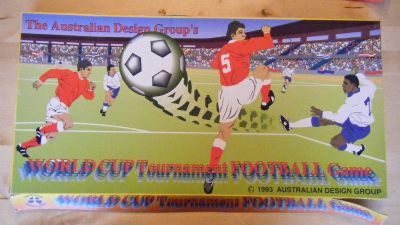 Fairly cheap looking illustration on an immensly wide box. 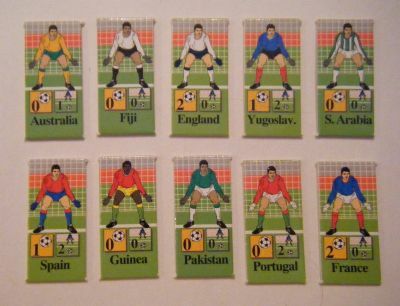 The box contains the board and also thousands of player cards covering most countries of the world. 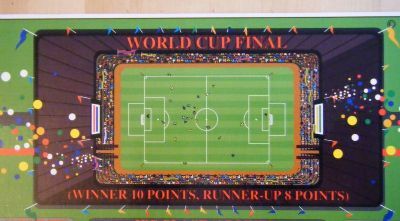 A huge double sided board that offers a world cup tournament on one side and an Olympic tournament on the other. 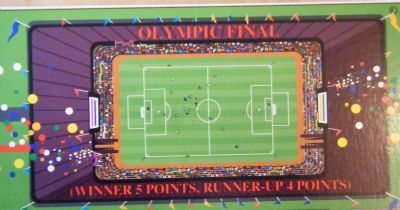 It literally recreates a cup draw using pitches 32 to 16 to 8 to 4 to 2 to 1 hence the need for all the cards. 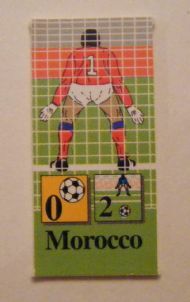 Player cards for nearly all the countries of the world, not just the bigger ones. 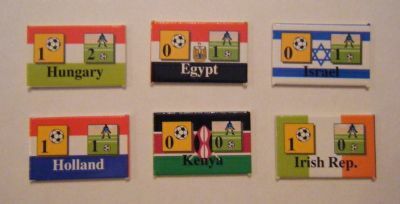 Every country also has flag counters for use on the gameboard round by round. 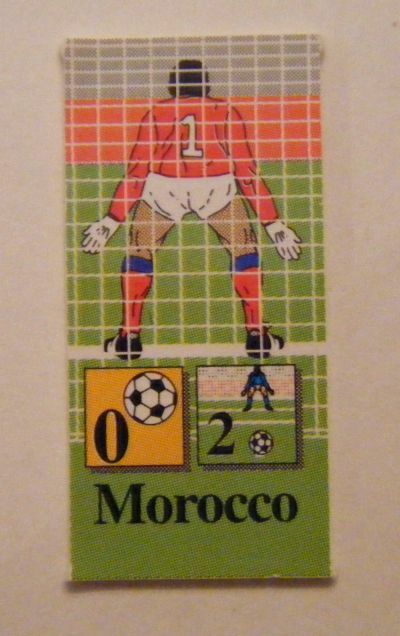 There are also a huge amount of other player cards to influence the game. 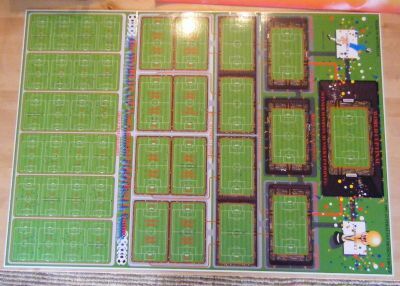 Very well produced and printed on both sides.